Recently retired Bayern Munich coach Jupp Heynckes recently described the soccer ball as, "along with boots, the most important product in football". The 73-year-old is not the only one to herald the humble ball; the German language itself does so, too, with the term 'Spielgerät', commonly used in reference to the ball, translating as 'game equipment'. Given its significance, the history of the soccer ball has too often been overlooked. With that in mind, allow bundesliga.com to trumpet the fascinating backstory of the famous leather sphere in Germany and in Europe. The first football match on German soil took place in Braunschweig (home of now third-tier club Eintracht Braunschweig) in October 1874 (as is often the case with these things, though, the date is disputed). A pair of local teachers, Konrad Koch and August Hermann, provided a ball ordered from England to their pupils to play with, although there was one problem: the ball in question was egg-shaped and in fact a rugby ball. There were a few changes down the years, most notably that the cowhide used for the soccer ball was tanned not greased – leading to a yellowish colour in the mid-1950s – with three leather strips stitched on, rather than a uniform leather covering, leading to slightly triangular-shaped balls. Remarkably, though, the leather soccer ball was used for almost a century, despite the fact that it became heavier in rainy or wet conditions, the knock-on effect being that the quality of the game decreased. Germany managed to win the FIFA World Cup in 1954 with a leather ball, which was also in use upon the foundation of the Bundesliga in 1963. The first real revolution in soccer ball history came at the 1970 FIFA World Cup in Mexico, won by Brazil. As the manufacturer of the official ball for the tournament, Adidas developed a soccer ball based on shapes from Ancient Greek arithmetic: the Telstar ball was formed of 12 black pentagons and 20 white hexagons, stitched together in a perfect circle. The colours were chosen so as to be immediately recognisable on black-and-white televisions of the era. The TORFABRIK, the Bundesliga's first uniform soccer ball, made its domestic debut in the 2010 Supercup encounter between Bayern and Schalke at Augsburg's WWK Arena. Since 2010 Adidas has been the top flight's exclusive soccer ball supplier, with the TORFABRIK now recognised globally due to its association with the Bundesliga. 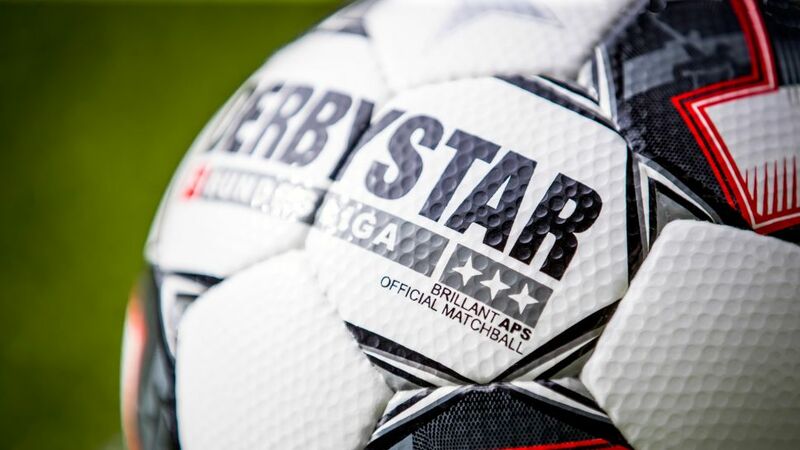 Derbystar will supply the top flight's soccer ball from the 2018/19 season onwards, however, with Heynckes particularly pleased with the return of an old friend. "Derbystar always stood for outstanding quality in my day," he said. "All of my major triumphs with Gladbach came when using the Derbystar ball."